Half Brock. Half symbiote. All evil! Can you smell what the Brock is cooking? Peter Parker-hating Eddie Brock reunites with his partner in hate, the alien symbiote, to become Venom once more in the Marvel Gallery PVC statue line! 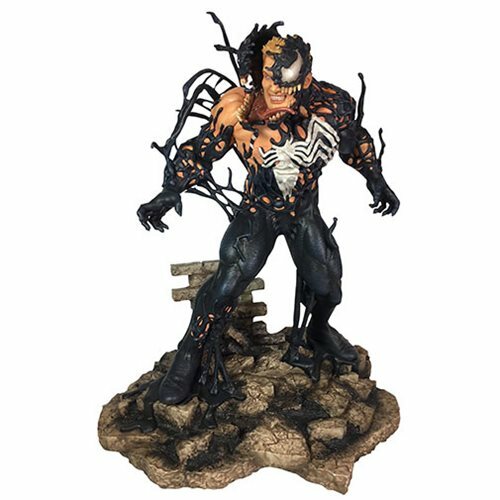 Measuring approximately 9-inches tall, this statue depicts Venom mid-merge, with Brock visible under the symbiote, and is made of a high-grade plastic with detailed sculpting and paint applications. The statue comes packaged in a full-color window box.